SEEC recently began the new program Bring Your Own Baby, which we fondly call “BYOB”. This program expands on the rest of our programming in several exciting ways. 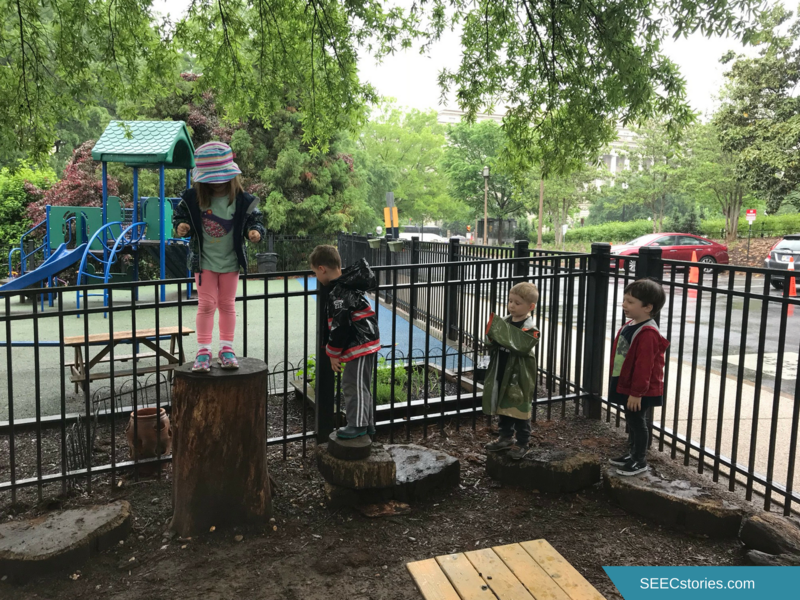 More than our other programs, such as our Family Workshops or the Smithsonian Early Explorers, BYOB is geared towards the adults who are bringing the children. The program is broken into two parts – coffee and play and then, a museum visit. In the development of this program, we considered the needs of both the adults and the babies. The class begins with coffee and the opportunity to meet and chat. We decided to begin this way for two reasons. The first was that we wanted to build in time for a flexible start since we know that it can be difficult getting yourself and your baby out of the house on a schedule (and kudos to all those who try!). We were also hoping to provide parents with the opportunity to create a community through conversation. The topics discussed have been seemingly endless, ranging from how much sleep everyone got the night before to their favorite Impressionist artist. As we head out into the museum, we are mindful that babies can sometimes be fickle. We are comfortable with crying, babbling, nursing, and even cutting the adventure short because somebody (caregiver or baby) needs to go home early to take a nap. 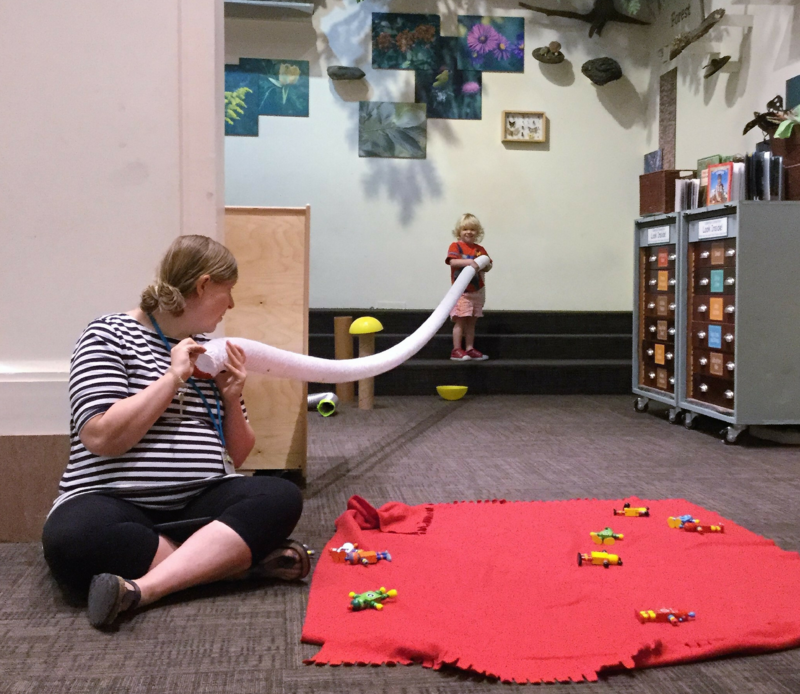 Our flexibility on these tours makes the sometimes stodgy world of museums more approachable for caregivers and babies alike. For these museum tours, we are hoping foster flexible thinking and spark the imagination of grown-ups rather than going quickly between objects and paintings and unloading a barrage of facts. To make these tours informative and interactive for adults, we have found ourselves modifying many of the tools that we use with young children. This makes our programming more playful and interactive than many programs geared towards adults. We believe approach to learning will make it more likely for you to learn something and leave the experience with something new to ponder. While the programs are written for adults, we could never forget the babies that are tucked away in their carriers. 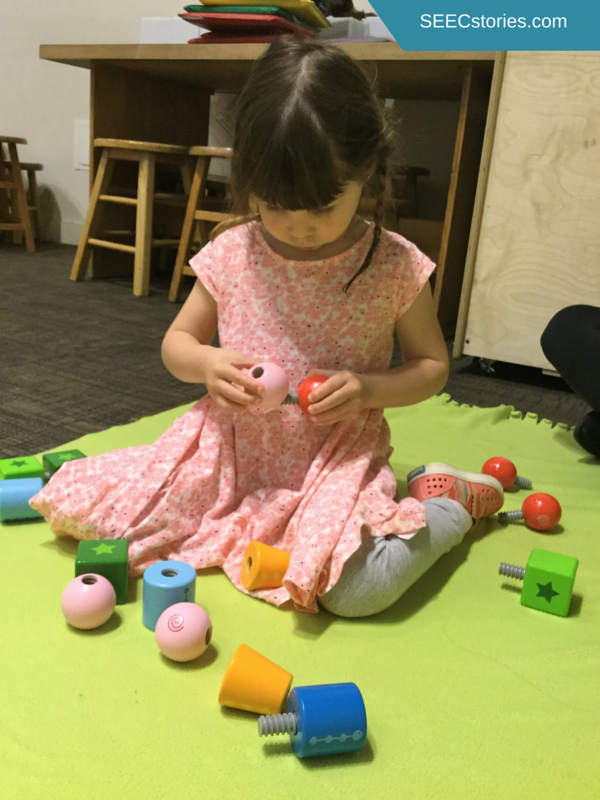 As the tours progress, we discuss theories in early childhood education and offer ways to incorporate this research into your interactions with your child. We show off some tips and tricks about how to make museum visits beneficial and enjoyable for young children. Our goal for this program is to help parents and their babies have an enjoyable time in the museums. If you are interested, please sign up for one our our upcoming BYOB classes. Looking for ways to engage your infant? Check out our Pinterest board on Infant Activities for ideas.